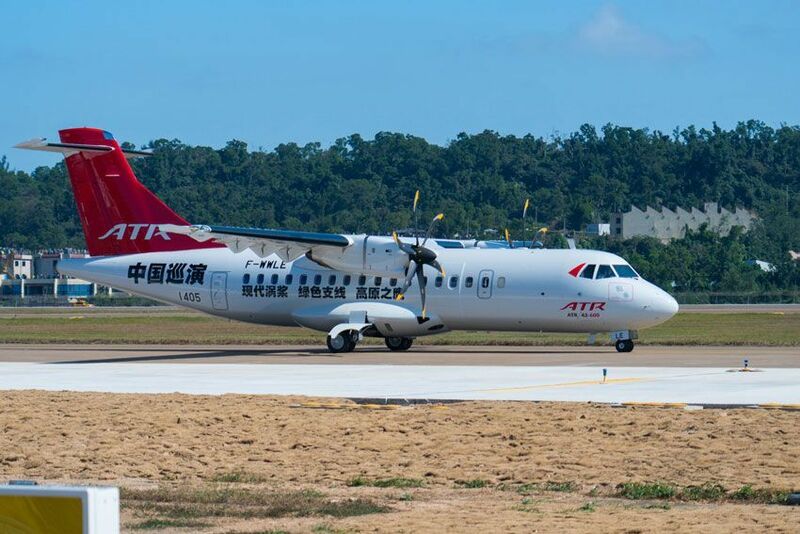 ATR has today published its new Chinese Market Forecast at the Zhuhai Airshow where it estimates a total market for 1,100 turboprop aircraft in the next 20 years. These aircraft will be required to serve China’s rapidly developing Regional Aviation and General Aviation segments. ATR foresees that in 2037 87% of the Regional and General Aviation activity will come from newly created routes, calculated at a total of close to 2,200. ATR’s calculations predict that Regional Aviation (up to 100 seats) will be eight times bigger in 2037 than it is today. The necessity for some 300 turboprops (70 50-seat and 230 70-seat) is estimated to connect 200 regional aviation airports, creating nearly 700 new routes in this regional segment. In terms of General Aviation (up to 30 seats), the Chinese Government is investing strongly in this scheme and is planning to develop a significant number of General Aviation airports. ATR estimates that around 800 30-seat turboprops will be required to serve China’s General Aviation segment, connecting 300 General Aviation airports, and many Regional Aviation airports, for which the ATR 42-600 is the ideal aircraft. This will lead to the creation of nearly 1,500 new routes. ATRs are proven route openers, opening on average more than 100 new routes per year, and as many as 155 in 2017. ATR’s -600 Series aircraft have a 40% fuel burn advantage over their turboprop competitor and are able to access short runways that other aircraft cannot serve. Thanks to these economic advantages and their operational flexibility, ATR aircraft have been the preferred choice of regional airlines since 2010, making ATR the leader in connecting people and small communities, for business or tourism. The market forecast also predicts the required aircraft for each of China’s regions. Using gravity modelling each route’s activity was correlated with its characteristics. The resulting mathematical model is based on 5,000 existing Chinese domestic routes and estimates activity potential on every airport pair not yet flown. This provides a breakdown of how many new routes will be created in the next 20 years for each region and how many aircraft will be required to serve them. Chinese aviation has undergone tremendous fleet growth, and is now seven times the size it was in 1998. This growth primarily addressed large traffic flows, with large capacity aircraft. During the same period the regional fleet doubled, however despite this growth Regional Aviation remains significantly underdeveloped in China. Regional aircraft currently represent barely 2% of China’s total fleet compared with the global average of 25%. China’s fleet currently lacks the adapted capacity necessary to operate regional routes economically. When traffic is limited, using large jets is not sustainable unless hugely subsidised. Currently large aircraft that are more costly to operate and require government subsidisation to break even or become profitable are being used for regional routes with thin traffic flows. Regional aircraft would serve these routes more efficiently, with better operating and trip costs, meaning less subsidisation would be required. Air connectivity can also complement China’s High Speed Train (HST) network. While HSTs connect large cities very effectively, air transportation is required to connect many smaller cities communities into the system. Passenger flow in Chinese airports is today highly concentrated, with 32 airports experiencing flows of 10 million or more passengers and 197 airports experiencing lower traffic, which coincides with the global situation where 36% of the 3800 commercial airports worldwide are served exclusively by turboprops. Offering suitable General and Regional Aviation solutions would not only stimulate economic growth in these under-served airports through the connection of secondary and tertiary economies, but also connect domestic passengers in China into the High Speed Train network. In addition, regional air connectivity delivers important economic advantages. A 10% increase in regional flights delivers 5% more tourists, adds 6% to the regional GDP and increases Foreign Direct Investment by 8%.